What are you doing August 15 – 17 this year? Why not celebrate 40 years (how can that be?) since the Brady Bunch left the air but never left our tv sets or hearts by going to the Brady Bunch Convention?! This year they also celebrate the 20th anniversary of the Brady Bunch movie! A weekend of Brady’s joining from the TV show, the TV specials and the Brady Bunch Movie, along with guests from the most memorable shows, will be very exciting. Expect autographs, meet and greets, and Barry Williams will be doing his Brady Show featuring all of your favorite Brady Songs, contests, trivia, music, comedy and so much more. 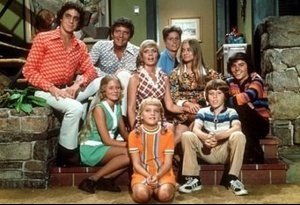 Click here for more information about The Brady Bunch Reunion Convention.